A relatively simple technique, that has been around for many years has suddenly been seen to be on the increase. Details being captured are LIVE credit card details being posted at time of purchase. From a PCI DSS compliance standpoint, as a retailer operating an E-commerce website, it is mandatory to adhere to the PCI DSS requirements. 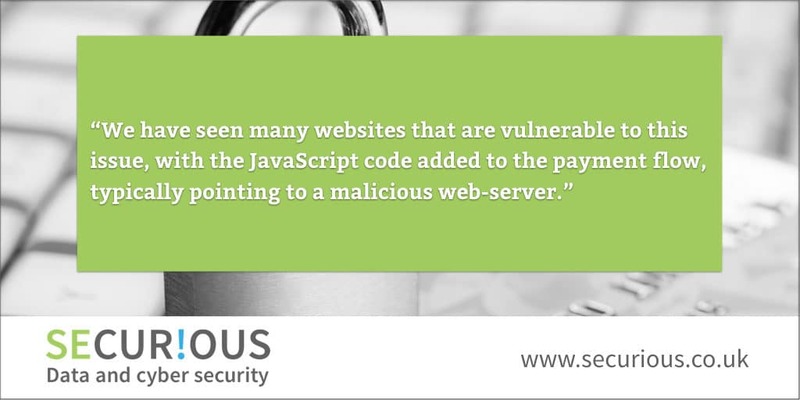 It is likely that you will only submit compliance based on the scope as defined by your E-commerce environment, for example; SAQ-A, where testing for this vulnerability is outside of the requirements.